Each day I read a devotional story to my little Stinky Face and then there is an activity to do on the next page. Today’s story was about being prepared for when Jesus comes again. I have to admit that I was kind of shocked by this lesson. I’ve never told my 5 year old that Jesus is coming back some day. The more I thought this over, the more thankful I became of this devotional lesson. It is something that we should be teaching our children, because it is a part of God’s Word. It used a story of a little boy who wanted to play and eat until the very last minute, when his dad had told him to be out in the van, ready to go to preschool. 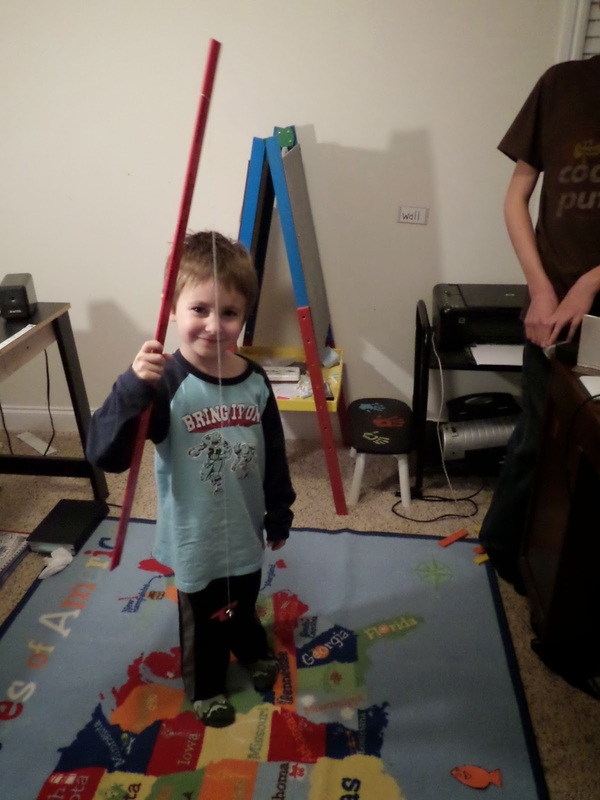 This lesson taught my son that the little boy wanted to do other things first and put off getting ready. In the same way, many people put off getting ready for when Jesus comes. We need to be living our lives the way Jesus wants us to so that we’ll be ready when He comes again no matter when that is. Then it was time for our activity. The directions said that this is an activity that we need to be ready for before we could start. 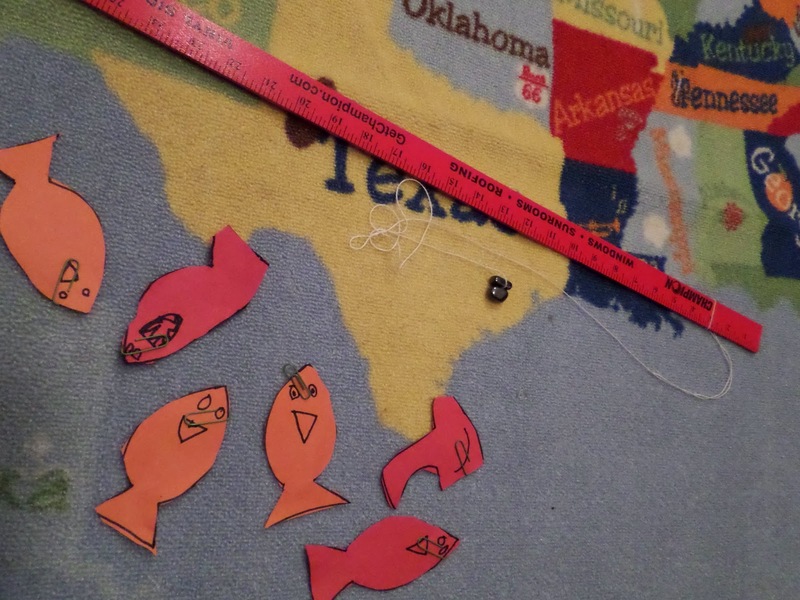 We had to gather all of our materials and then construct a fishing pole and some fish. My son had a blast! 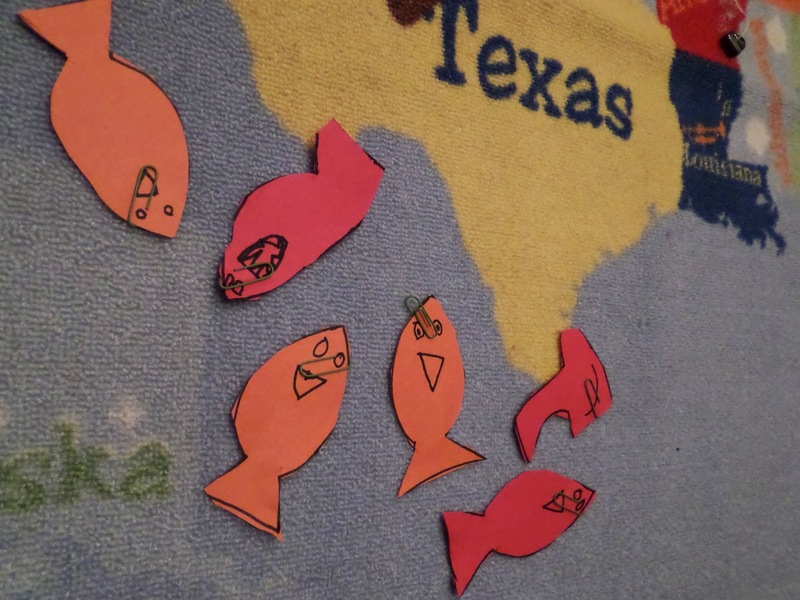 I drew a couple of fish for him and then he did the rest of the drawings and cutting them out all on his own. Then we put paper clips on them. Then it was time to make the “fishing pole”. All I did was tie some string around the end of a yard stick and tie it in a knot. 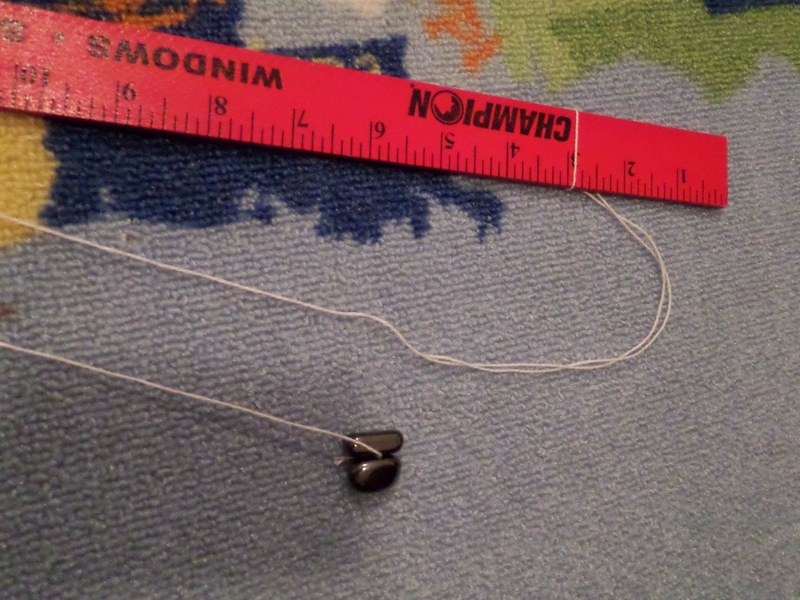 Then we took two magnetic rocks that we had and clipped them onto the end of the string. Now we were ready to go fishing. When the hook (magnet) of the fishing pole touched the mouth (paper clip) of the fish, he caught fish! He thought it was so awesome and really enjoyed it when he caught more than one at a time.